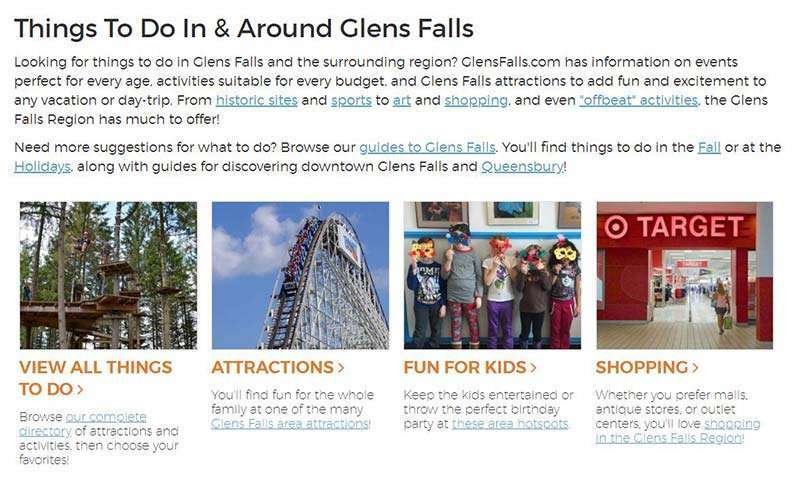 Your online guide to the Glens Falls Region! 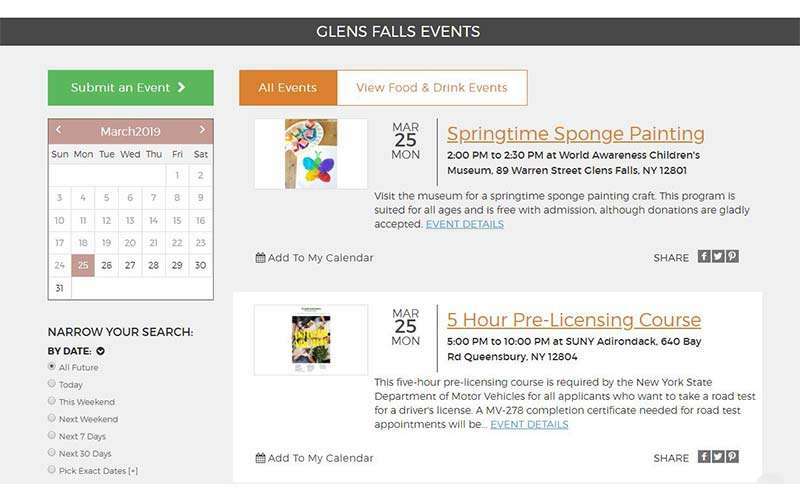 Want to know what's going on in and around Glens Falls, NY? 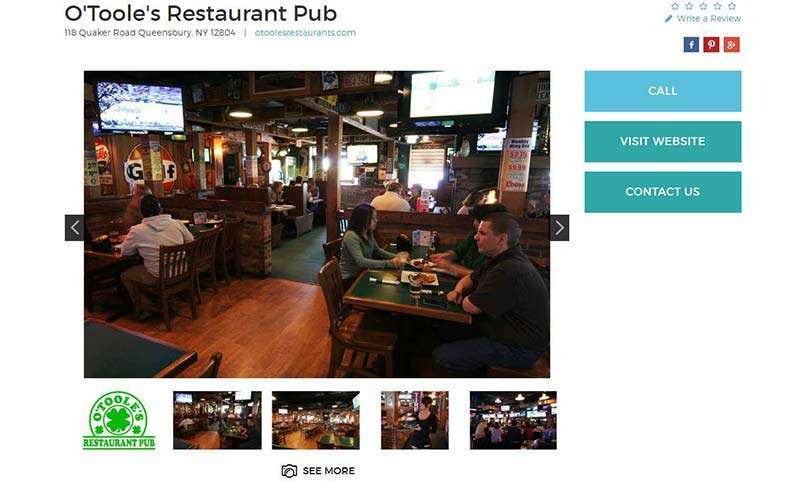 Interested in seeing everything the area has to offer? 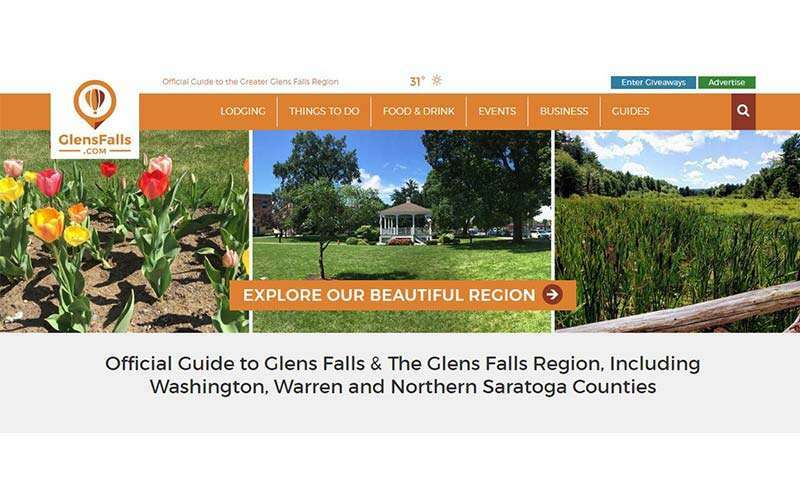 Explore GlensFalls.com - the premier online guide for travelers and residents in the greater Glens Falls Region. If you're looking for things to do during the day, we have you covered. 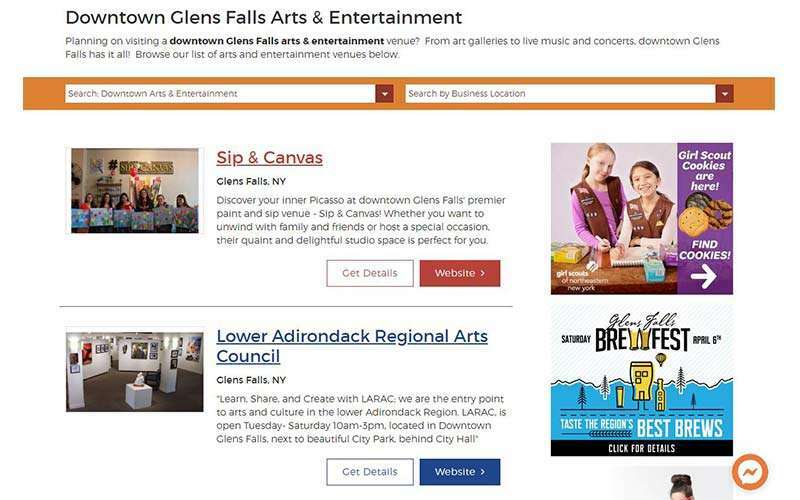 GlensFalls.com offers detailed information on local dining options, parks, entertainment hotspots, recreational activities, seasonal fun, and so much more. Plus, our regional events calendar will keep you updated on upcoming festivals, live music performances, plays, and even sports competitions. Thinking of staying longer? 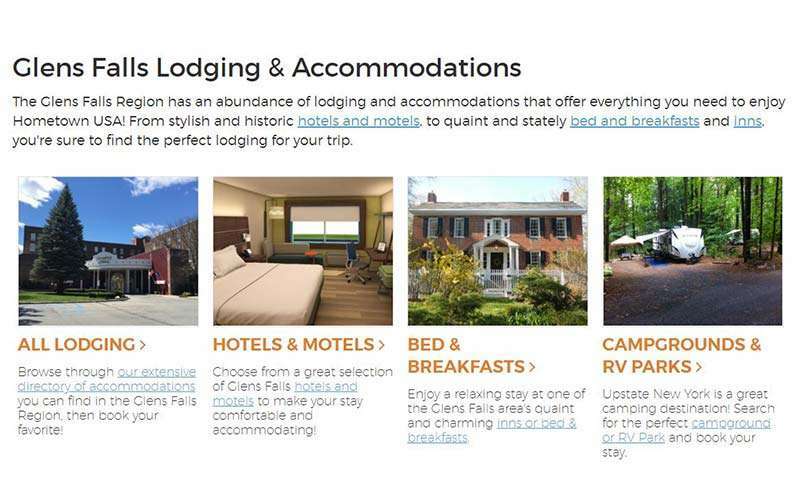 There are all kinds of excellent accommodations to choose from, including hotels, motels, inns, and other lodging properties. Best of all, many day trips await beyond the City of Glens Falls. You can travel north to Lake George or Whitehall, check out Queensbury, Hudson Falls, and South Glens Falls, or make your way south to Saratoga Springs and Albany. 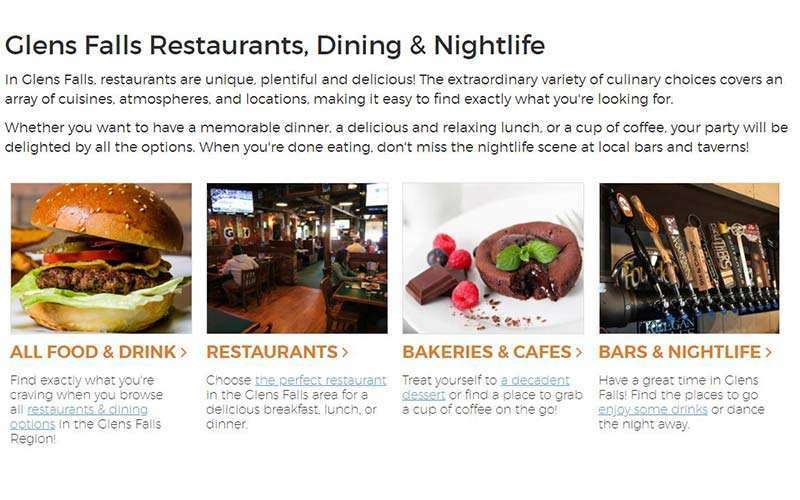 Glens Falls is at the heart of it all and a short drive from the Adirondack Northway (I-87). 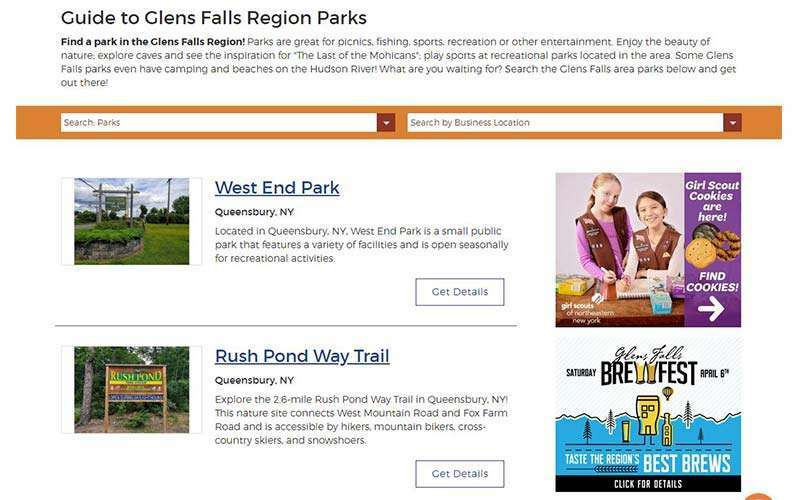 If you'd like your Glens Falls Region business to get found online, then consider advertising on GlensFalls.com. We offer a variety of advertising packages to help you reach the right audience.